Charles William “Bill” Glatz, 96, of 175 Aldren Ave., Jamestown, passed away at 4:45 p.m. Tuesday, Aug. 28, 2018, in the John and Orpha Blair Hospice Residence, Warren, Pa.
A lifelong area resident, he was born May 3, 1922, in Jamestown, N.Y., a son of the late Albert W. and Pauline Johnson Glatz. He was a 1940 graduate of Jamestown High School, where he was president of his class and was active in planning and serving on his class reunion committee. During high school he excelled as a basketball and football player. He attended the College of Wooster and finished his bachelor’s degree as part of the ROTC Program at Notre Dame University. Bill was a veteran of the U.S. Marine Corps serving during World War II in the Pacific Theater and was later called back during the Korean War, where he was honorably discharged as a captain. He also served several years in the U.S. Marine Corps Reserves. Before his retirement, he was associated with his late brother John in the family business, “The Glatz Agency,” an insurance business serving the Jamestown community which was founded in 1913 by his father, Albert Glatz and his uncle, Harry Glatz. 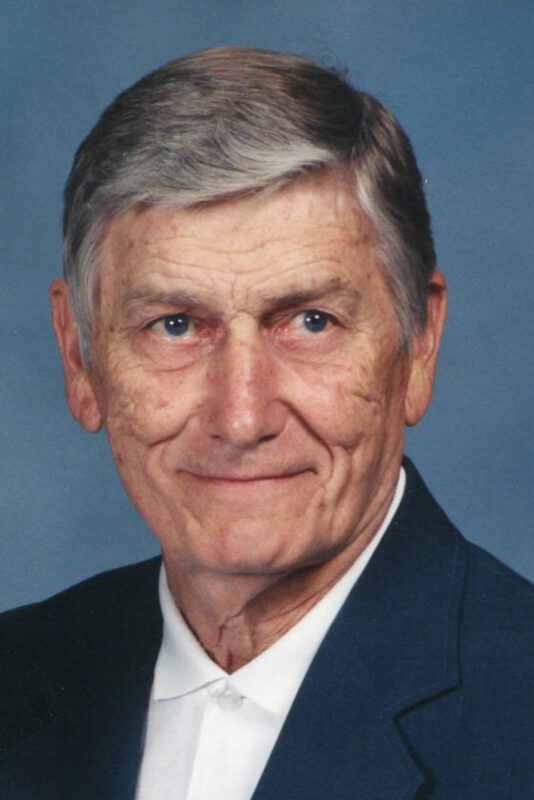 He was an active member of the Christ First United Methodist Church, where he sang in the church choir, was a Sunday school teacher and served on various boards and committee’s for the church. He was a member of the Jamestown Rotary Club, receiving the Paul Harris Fellow Award in 1991, a member of the War Vets Recreation Club and the Thule Lodge 127 VASA Order of America, Jamestown. He was also an active member of the Jamestown YMCA serving as the leader of the Senior Men’s Exercise Class that started in 1964. He was a past president of the YMCA board and received the YMCA Lifetime Service Award for his commitment to the “Y.” He was very involved in the YMCA’s Camp Onyahsa serving as a board member for several years and received the Camp Onyhasa Award for his service. Bill had a great love for singing. He was a 25 year dedicated member of the Jamestown Harmony Express Barbershop Chorus, serving as secretary of the board for many years. He was also an avid golfer and bowler, participating in several bowling leagues over the years. At the age of 92, he got his only hole-in-one at the South Hills Country Club. Surviving are his wife of 68 years, Betty Ann Dahlgren Glatz, whom he married Dec. 3, 1949; three sons: Todd (Joan) Glatz of Macedon, N.Y., Craig (Nancy) Glatz of Jamestown and Philip (Mary Beth) Glatz of Orchard Park, N.Y.; nine grandchildren: Christopher Glatz, Elizabeth Jenner, Catherine Glatz, Jamie Glatz, Kelly Graham, Erin Himes, Katie Phelps, Anthony Ferrone, Eric Glatz, and 12 great- grandchildren. Besides his parents, he was preceded in death by a granddaughter, Beth Ann Ferrone; a brother, John A. Glatz; and two sisters: Emily Creveling and Helen Vandermulen. The funeral will be held at 11:30 a.m. Saturday in Christ Chapel of Christ First United Methodist Church. The Rev. Matthew Rowe, pastor will officiate. Burial will be in the Sunset Hill Cemetery. The family will receive friends from 4-7 p.m. Friday in the Lind Funeral Home. In lieu of flowers, memorials may be made to the Christ First United Methodist Church, 663 Lakeview Ave., Jamestown, NY 14701, or the Jamestown YMCA, 101 East Fourth St., Jamestown, NY 14701 or to Camp Onyahsa, 5411 East Lake Rd. Dewittville, NY 14728. You may leave words of condolence to Bills’ family at www.lindfuneralhome. com.